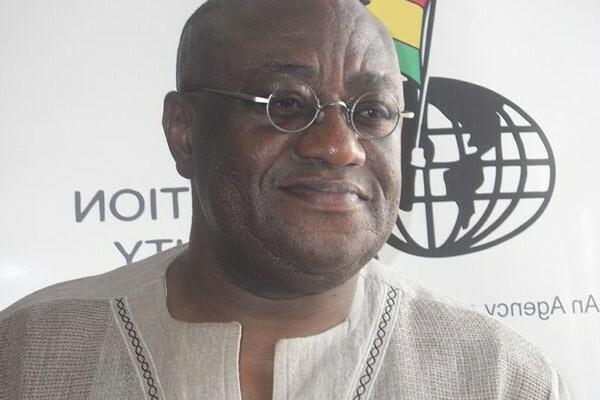 Workers who were at the site when the four-storey building under construction collapsed near the president’s residence and the premises of the Free Zones Board at Cantonments in Accra on Saturday, have complained about their unpaid salaries. Though Dr. Prosper Adabla, the owner of the building was killed when the structure collapsed, the workers insisted that they should be paid their salaries immediately. According to a survivor who was a worker at the site, monies meant to be given to them as stipends got trapped in the wreckage but was later retrieved and confiscated by the police as exhibit. Another worker who was also a victim, told DAILY GUIDE that since Saturday, no one had come forward to tell them anything about their unpaid salaries. “We are marked daily and paid weekly. On that faithful day, the lady who was supposed to pay us had the money with her when the building collapsed. She was rescued and the police also found the money later but till date no one has told us anything about our salaries,” the worker who pleaded anonymity, stated. He appeared frail with bandages and plaster on his face, legs and arms. He added that some of the workers who were affected by the incident needed their salaries to pay for their medical bills. He said the daily wage of each labourer was GH¢35.00 whiles that of each mason was GH¢45.00. This amount is accumulated and paid to the workers weekly. When DAILY GUIDE visited the scene of the tragedy on Monday, the agitated workers said it appeared they were not going to be paid for the services they had rendered that week since no one from management had approached them concerning who was going to settle the medical bills of the affected workers and when they were all going to be paid. There was only one lady among the 18 rescued persons who apparently was at the scene to pay the workers. She was trapped at the ground floor but miraculously survived. Meanwhile, the La Dadekotopon Municipal Assembly has revealed that the owner of the building had disregarded a directive to stop work. The assembly said the owner, Dr. Prosper Adabla, did not also have a building permit. Dr. Adabla and two others died on the spot when the building collapsed Saturday afternoon. La Dadekotopon Municipal Chief Executive, Rita Odoley Sowah who visited the site on Monday, told journalists, “I am indeed lost for words because as this project was ongoing I had been here with my staff on several occasions to ask them to stop work because before you embark on any project you have to obtain permits from the assembly which they hadn’t done. “When we say stop work you have to abide by that but for them they ignored it and continued working,” she said. The police officials, National Disaster Management Organization (NADMO) and the Ghana Fire Service have started investigations into the incident. Meanwhile, a team made up of the police, military, firemen and NADMO that was undertaking rescue operations at the scene, completed its work at ground zero yesterday after saving the lives of about 18 persons. Superintendent Mercy Wilson–Brown, the Cantonments District Police Commander who spoke to DAILY GUIDE, said at the end of the rescue mission that three bodies were retrieved. “Ten victims were treated and discharged while four are still on admission receiving treatment,” she added. According to Superintendent Wilson-Brown, the police were yet to investigate the criminal aspect of the incident.